Take a moment to look at and re-read the headline at the top of this article. That is an utterly factual headline, yet it is hard to believe it is true, isn’t it? It’s definitely a good question. Why would someone who claims to be a minister of Jesus Christ be celebrating a Romanist grouping? Why would someone who claims to be a minister of Jesus Christ want to take part in a novena, a prayer event which often includes the invocation of Mary? These, also, are very good questions, and ones which ought to be addressed to ‘Rev’ Ruth Patterson. It is she who will be engaging in this repugnant betrayal of Jesus Christ and, indeed, of her own ordination vows. Now, of course, she ought not to be in the position of ‘minister’ as this in itself shows ‘Rev’ Ruth Patterson’s utter rejection of God’s Word. However, even leaving that to one side briefly, this is a very grave offence against God. ‘Rev’ Ruth Patterson will be preaching at the ‘Novena of Hope 2019’ at The Graan, a Romanist chapel near Enniskillen in County Fermanagh which, for a long time, has been the clerical home of noted Romanist, ‘Father’ Brian d’Arcy (pictured, below). It is being held to celebrate the 300th anniversary of the Romanist grouping of the Passionists. A novena is a nine day prayer event and this one will run from Saturday, 23 March to Monday, 1 April, with ‘Rev’ Ruth Patterson to sow her ecumenical, heretical seeds of deceit on Thursday, 27 March. When ‘Rev’ Ruth Patterson took her ordination vows in 1977, she would have stated her objection to the Pope as “that antichrist, that man of sin and son of perdition” by signing the Westminster Confession of Faith. What a mockery she has made of her vows! ‘Rev’ Ruth Patterson is well known for her ecumenical betrayal of Protestantism and, indeed, in a recent interview with the Belfast Telegraph, conducted by another old ecumenist, Alf McCreary, she indicated her indifference to those who would criticise her in her religious practices. We don’t expect that, should she read this, it will make the slightest difference to her, though we may pray God will lift the scales from her eyes, but we want to urge Presbyterians or those who are friendly with anyone in that church to separate from this church and urge their friends and family to do likewise. This is a woman who, despite her years of ecumenical compromise, remains in great standing in the Presbyterian Church, and was handed an honorary doctorate by the Presbyterian Church in 2001, years after she had left full time ministry to launch her anti-Christian Restoration Ministries. 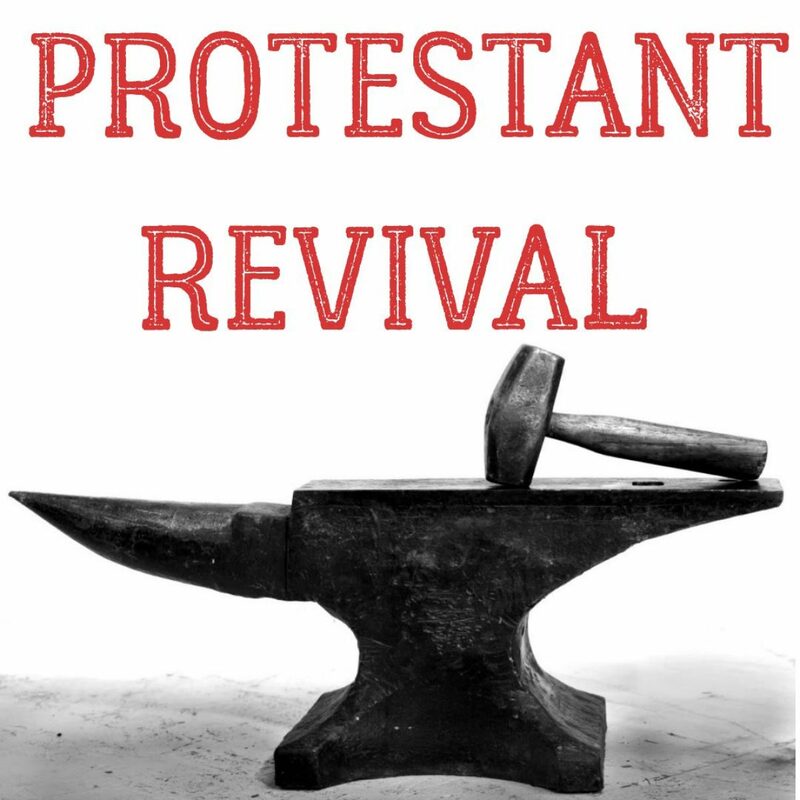 Why does the Presbyterian Church still hold her in high regard? It truly is confusing to anyone who refers to the Word of God for their spiritual guidance, rather than their own fancies, notions or thoughts. The Presbyterian Church has emphatically refused to follow the Scriptural command to separate from false religion. 2 Corinthians 6:14-17 is crystal clear on this: “Be ye not unequally yoked together with unbelievers: for what fellowship hath righteousness with unrighteousness? and what communion hath light with darkness? And what concord hath Christ with Belial? or what part hath he that believeth with an infidel? And what agreement hath the temple of God with idols? for ye are the temple of the living God; as God hath said, I will dwell in them, and walk in them; and I will be their God, and they shall be my people. Wherefore come out from among them, and be ye separate, saith the Lord, and touch not the unclean thing; and I will receive you”. The phrase within those verses asking “what agreement hath the temple of God with idols” is most pertinent in this instance. An article in the Romanist Irish News this past week highlights that a specially created “icon”, or image, has been created to mark this novena. This is quite clearly an expression of idolatry, yet ‘Rev’ Ruth Patterson is evidently more than happy to identify with such Christ rejection. While Rome conveniently omits the Second Commandment from their own Ten Commandments, this doesn’t mean it is not still relevant. We’ll remind readers and in particular ‘Rev’ Ruth Patterson and any who would seek to defend her or her denomination for harbouring her even yet, what the Second Commandment is. “Thou shalt not make any graven image”, it says. Perhaps ‘Rev’ Ruth Patterson needs to read this closely, although even a cursory examination makes it abundantly clear she is endorsing paganism. The closing words of 1 John further demonstrate this with utter clarity. John, in his parting comments, speaks of the discernment given to the child of God to know the difference between righteousness and wickedness. He then continues and says in the next God inspired breath, as it were, to “keep yourselves from idols”. So we can clearly see the discerning Christian is to stay well clear of idols, yet here is ‘Rev’ Ruth Patterson preaching at a meeting which has had a specially commissioned idol created for it. Again, the Word of God is very clear and critical of these idols and those who make and serve them. This icon, which is dumb, deaf and mute, created for the novena ‘Rev’ Ruth Patterson is preaching at is an example of heathenism and God says, through the Psalmist, that those who make them and those who trust in them are like those idols. It is quite the condemnation, and yet here we have a Presbyterian ‘minister’, held in high regard by her church, so much so that on two occasions her name was put forward to be Moderator, joining in with senseless heathenism. Is there a single Presbyterian minister who will raise their voice against such a disgraceful situation? Even one? Sadly, based on what we have seen over the years, it would seem highly unlikely, though we would be very pleased to be proven wrong. Better still, will any Presbyterian minister come to their senses and realise the Bible forbids women from being ministers and speak out against it before separating from the Presbyterian Church? Here, too, is a challenge for any minister in a church which remains faithful to the Word of God, to speak out against such wretched rejection of the Word of God. Let us speak out for Christ. Dear reader, won’t you please urge anyone you know who is involved in that church to “come out from among them, and be ye separate”. Our reward for holding a Biblical separatist position is great, for we are told at the end of that 18th verse of 2 Corinthians 6 that if you do that, God “will receive you”. Let us separate ourselves unto God, rather than stay compromised and polluted by fellowship with that which has ignored, overthrown and rejected God’s Word. And, if you are as yet unsaved and perhaps attending a church which fails to preach the gospel, won’t you even come to Christ for salvation. The way of salvation is simple, we are told that we must repent of our sins and believe on Jesus Christ. Jesus says in Mark 1:15 that we are to “repent ye, and believe the gospel”. Acts 16:31 says: “Believe on the Lord Jesus Christ, and thou shalt be saved”. It is Jesus’ blood which makes us fit for heaven, not the sacramental system of Rome, not the namby pamby social gospel of so many apostate Protestant churches, not church attendance, not financial contribution to the church, it is nothing but the blood of Jesus.